Plastic surgery is generally done to improve one’s appearance and lifestyle. There are many benefits to having surgery. But sometimes, the reality of surgery scars can surprise patients. Surgical scars form whenever a scalpel is used. While incredible progress in surgical techniques has increased over the past few decades, a scar will appear any time a scalpel is used to open the body. Your surgeon will work hard to make sure the scar is minimal or hidden, but it’s essential that patients understand the reality about surgery scars. When patients come in for consultations, they are excited to discuss what they will look like after a breast augmentation or tummy tuck. It’s equally important to include that scars are a part of this procedure. In each case, your surgeon will use skill and technique to minimize scarring. Having a scar may be a reminder of your surgery and will likely fade with time but will always be present. The size and location of a scar depend on where the surgery is performed, and the amount of tissue moved or adjusted. Any tension that is placed on the scar also plays a role. For example, a tummy tuck procedure, which removes a lot of excess skin will typically have a longer surgery scar. Tightening surgeries such as a breast lift place tension on scars under the breast that can widen the scar as it heals. Immediately following surgery, a scar can seem huge and look scary. But the ultimate healer of scars is time. The old adage that time heals all wounds is true. Scar healing is a process. To get you healed the body creates a large amount of college (scar tissue) in the first few weeks. The body also creates extra blood vessels in the scar to assist in healing. Therefore early scars may be red and feel lumpy. Once healed the body shift gears, and the amount of the scar tissue goes down, the redness goes away and the strength of the scar increases. Genetics: If other people in your family, like your parents or siblings, tend to scar heavily, it is possible you will do the same. This is important to discuss with your surgeon. Age: Skin becomes thinner and more elastic with age. This is because collagen changes as we get older. The result means that skin may not heal as quickly when we’re older. Conversely, older patients may make better scars because the scar tissue deposition is less. Race: African-Americans and darker skinned patients have a higher risk of hypertrophic and keloid scars. Keloid scars are rare for most. A Keloid is a growth of scar tissue that far exceeds the size of the original scar. A hypertrophic scar is within the boundary of the original scar it is just thicker. These are more common. Reddish and very fair skinned people sometimes make scars that stay “redder” longer. Fortunately for these patients’ certain lasers can diminish the red color. There are factors you can modify to give yourself the best shot at a good scar. Some are easier, like carefully following your surgeon’s post-surgical instructions. Some other lifestyle choices are not as simple. Smoking cigarettes increases your risk for scars and may also hinder your healing. Early sun exposure can cause a scar to become darker and more noticeable. Your surgeon may also recommend topical medications such as products containing Vitamin E and cocoa butter cream, with massage which can help speed the improvement in your scars. While surgery scars are a part of all cosmetic surgeries for most patients the tradeoff is worth it. 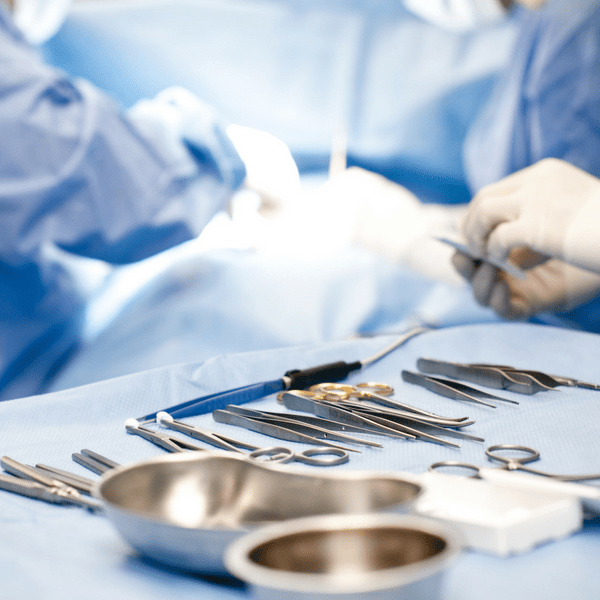 The key is to be well informed about the risks and the benefits of surgery as a whole. If you are interested in having a surgical procedure but are worried about the possibility of scarring, schedule a consultation today with board-certified plastic surgeon Dr. Adam Tattelbaum or call 301-656-6398. He can answer all of your questions about scars and surgical scar removal.